Iraqi Kurdistan: Referendum Over. What Next? Despite calls by the international community and the central government in Baghdad, an independence referendum for the autonomous region of Iraqi Kurdistan was successfully held. As expected, the vast majority of the Kurds cast an affirmative vote to the proposed question: “Do you want the Kurdistan region and the neighboring Kurdish areas to become a single independent state?” i.e. they expressed themselves in favour of the creation of an independent Kurdish state. Once the plebiscite was over, the Kurds stated that they were ready for dialogue with Baghdad on all issues, however long it would take. At the same time, military cooperation between the Kurdish paramilitary groups of Peshmerga and the Iraqi army in the fight against terrorism shall remain unchanged, as assured by Head of Iraqi Kurdistan Massoud Barzani. He also said that he did not expect any armed conflict with Baghdad. On the contrary, the Iraqi Kurds have every intention to build good neighbourly relations with Baghdad and the neighbouring countries. At the same time, it may be recalled in this regard that in 2005, a similar referendum was held, which has eventually led nowhere. However, it is fair to say that at that point, it was arranged by public organizations. This time, the people’s will is expressed by the government, political forces, and the Peshmerga, i.e. the Kurdish army. The failure of the first and possibly the second referendum is largely associated with the negative reaction of many countries to the emergence of a new independent state. In its turn, the Iraqi Government has demanded that foreign governments cease cooperation with Iraqi Kurdistan in the oil sector. The document was issued following the government session on national security issues. Baghdad is also demanding that the authorities of the Kurdish autonomy transfer all border crossing points in the region under its control. According to the statement, border crossing points fall within the purview of the Federal Government, as in the case with the oil, which is the property of all Iraqi people according to the Constitution of Iraq. The neighboring states Iran, Turkey, and Syria, which are also home to a Kurdish population, are showing special activity on the negative side. It is quite clear that had an independent Kurdish state been created in the former Iraq, it would primarily have raised the question of new configurations of this country and some neighboring states. In addition, it would eventually have become natural that the Kurds of Iraq, Turkey and Iran would be united into a single formation. That is probably why the Syrian Government rejected an independence referendum in Iraqi Kurdistan: “In Syria, we recognize a unified Iraq and reject any events that could lead to the separation of the state,” stated the Minister of Foreign Affairs Walid Muallem. “We reject this step, and refuse to support it,” remarked the head of Syrian foreign policy department, who added that his Iraqi counterpart had been informed of such position. Damascus has not yet taken any further steps, given that it is currently fighting a difficult, bloody, but victorious battle against bandits, criminals and terrorists of all types that are equipped with American weapons and enjoy the support of Washington, as shown by recent events in Deir ez-Zor. Meanwhile, however, the first local elections in Syrian Kurdistan, which is also seeking autonomy, were recently held. On September 22, Rojava, one of the Syrian regions controlled by Kurds, held elections for the representatives of local administrations. In November, elections for the local councils shall be held, and in January 2018, there are plans to hold elections in the Democratic Federation of Northern Syria, which is actually an autonomous entity of the Syrian Kurds proclaimed in March 2016. Thus, the first stage may be marked by the formation of the Union of Syrian and Iraqi Kurds. According to the Minister of Foreign Affairs of Turkey Mevlüt Çavuşoğlu during his interview with Haber, the Ministry of Foreign Affairs of Turkey warned that Ankara might carry out military intervention in Iraq if the Turkmen population of the country faced prosecution. Ankara stands as the defender of the Turkmen minority in Iraq. Turkey is especially interested in the oil-rich province of Kirkuk, which is home to the Turkmens ethnically close to the Turks. The region was captured by the Kurds in 2014 after the invasion by Daesh and the government Iraqi troops scuttled away. The Milliyet also recalled the military manoeuvres that the Turkish armed forces are carrying out near the “Khabur” checkpoint in the Silopi district of the Şırnak province near the border with Iraq. It is noted that the battle exercise included 20 tanks, which were involved in offensive exercises. Prime Minister of Turkey Binali Yıldırım gave a detailed interview to a number of Turkish TV-channels, during which he stated that Ankara has been “considering the possibility of imposing sanctions against Erbil in three different areas, that is, the economy, politics and military sphere.” The Prime Minister also stressed that the Republic might stop the transit of oil from Iraqi Kurdistan upon the request of Baghdad. “Baghdad should control the oil trade,” he stated. 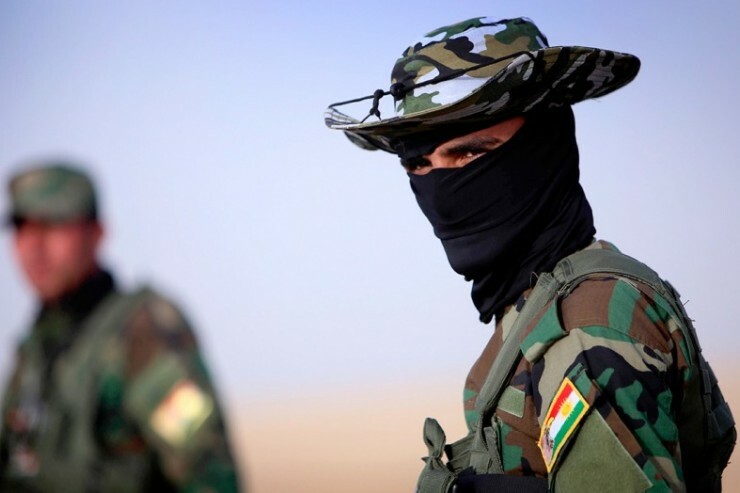 Noteworthy is the fact that at this time, the Daesh militants have made the largest attack in the last five months against the Kurdish militia in Northern Iraq. The attack was launched on Bashik Camp, the Peshmerga command centre, as well as settlements of Tal-Aswad and Narwhan. Active military actions lasted several days, and up to 120 militants were engaged in each attack. U.S. Army Brigadier General Mark Odom described these offences as the most serious attack by Daesh in the last five months in Northern Iraq. According to Odom, these actions were intended to undermine the efforts of the Kurds and the Western coalition in ousting the militants and terrorists from the territory of Iraq. Washington also upped the ante by pursuing inconsistent policy, which seems to be opposed to the creation of an independent Kurdistan, but in reality makes this all possible. It was the United States in 1991 which established “the flight-free zone” and encouraged the Kurds to take a strong stand against the Baghdad regime of Saddam Hussein. During his extensive tour across the Middle East, Donald Trump has virtually outlined the future of the Pro-American Middle East Union, the main parts of which, along with Washington, were Israel and Saudi Arabia. And these two states are actively promoting the independence of the Kurds. But at the same time, the US State Department noted that Washington had continued to support Iraq that was federal, democratic, pluralistic and unified in its nature, as provided by the Constitution. We should probably agree with the position of some political analysts who believe that the Middle East will in any case see a full-scale reshaping of the boundaries established under the Sykes-Picot Agreement as early as 1916 in favour of Britain and France. It is now important to answer the question: Will this development result from implementing the Western comprehensive long-term strategy in the region, or everything could be explained by the coincidence of some alleged factors and circumstances? Erbil could be added to the list of partially recognized or unrecognized states, along with the Palestinian Autonomy, Nagorny Karabakh, Abkhazia, South Ossetia, Transnistria, Northern Cyprus, and others.